Hold the door open for a fellow classmate. Make eye contact as you greet an adult. Tell the truth when it would be easier to remain silent. These behaviors that demonstrate character are so commonplace among our students that it would be easy to take them for granted. However, these traits often set our students apart. 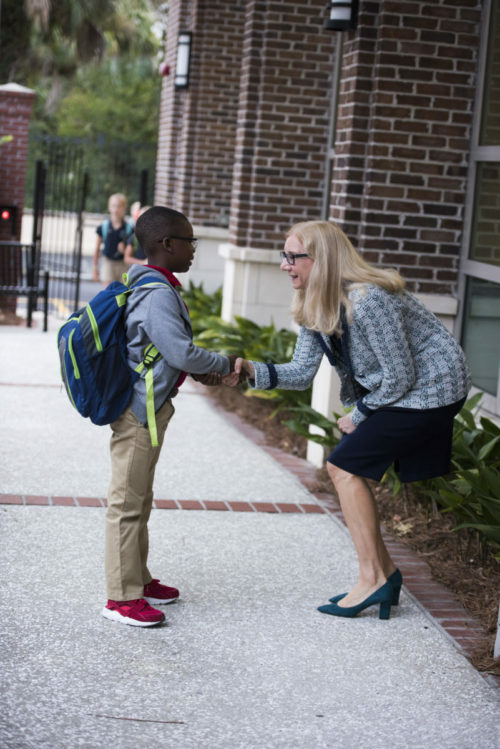 At Charleston Day School, the character development of our students has shared equal billing with academic development since its inception by Mary Stuart and Emily Tenney 80 years ago. That guiding principle continues to define who we are today. Every adult on this campus is focused on instilling these traits in our students. It is not uncommon to see a primary school teacher redirect an 8th grader in the hallway. Or the business manager may remind students of table manners as she sits with them during lunch. If a social issue pops up on the playground, the teacher will use the opportunity to teach a life lesson to the class. We are undaunted in our commitment to teaching integrity, respect and responsibility through high expectations. In a formal way, our youngest students discuss character traits as part of their morning meeting. Beginning in fourth grade, students attend a weekly Character class. At our weekly school-wide assembly, we recognize Scorpion Salutes, students who have shown random acts of kindness. Community service is encouraged and celebrated. In their neighborhoods throughout the community, Charleston Day students hold lemonade stands for charity, collect trash from the roadway or help a neighbor with yard chores. A highlight of our Character curriculum is Mission Possible: A Day of Service and Understanding, where community leaders come to campus to share real-world examples of how they live our Mission of scholarship, integrity, respect and responsibility. 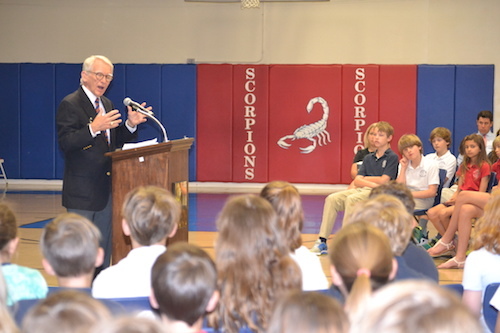 Last year former Mayor Joseph P. Riley, Jr. gave the keynote address. 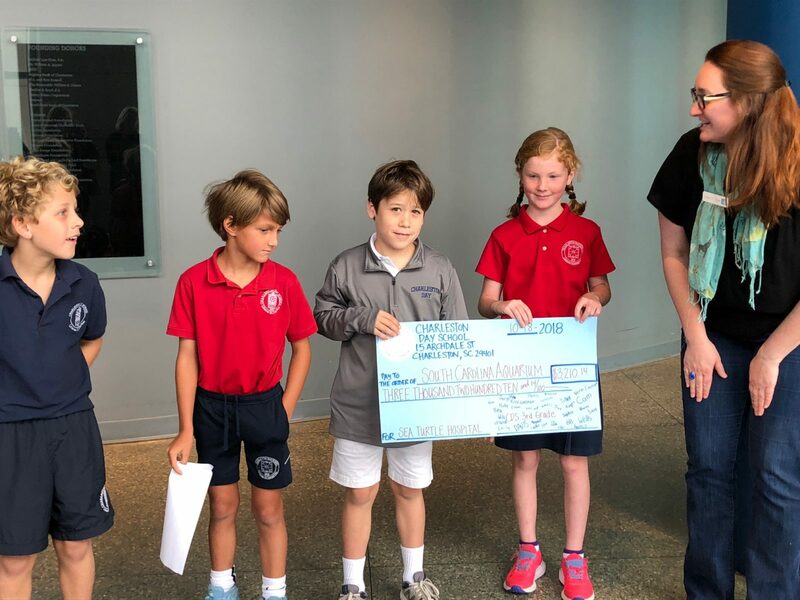 Students also heard from a 12-year-old boy, Scotty Parker, who set a goal to bike from California to South Carolina to raise money for Water Mission. In the summer of 2017, he accomplished that goal. Other speakers included representatives from Sea Island Habitat for Humanity, the South Carolina Aquarium, One80Place, Palmetto Warriors, and the Center for Birds of Prey. If we have accomplished our Mission, students will want to use their passions and their gifts to make meaning in their lives. Teachers dine with students, teaching manners and conversation skills. Middle school students are role models. Students leave CDS as confident public speakers.